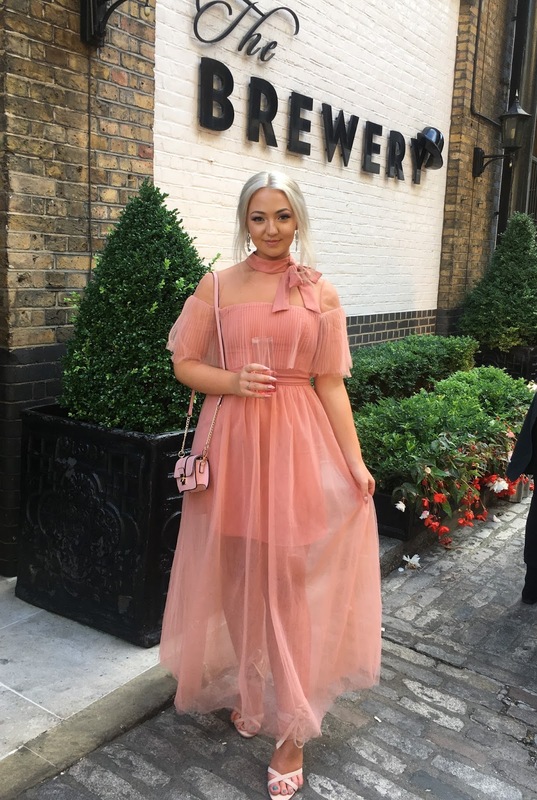 I'm really excited to be writing this post, even though it feels like it was yesterday when I was applying, I have now finished and graduated from the Fashion Retail Academy. I'll start at the end - this was my outfit for the graduation ceremony. 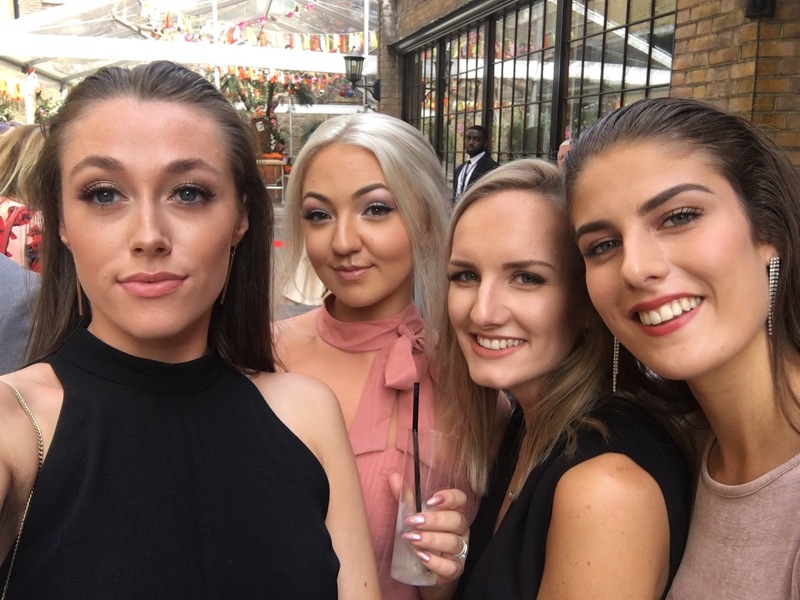 It was such a great day, great atmosphere spent with the friends for life I made at the college, as well as my boyfriend who came down to London to support me. If you follow me on twitter you may have voted in my poll - I was torn between a classic maxi bodycon dress and this pink one. The poll came to a tie, and although most people I asked said I should wear the other one, I didn't want to play it safe. I wanted to wear something really different, something I'd never ever usually get the chance to wear, but also something in keepings with current trends - millennial pink obvi, ruffles and frills (I'll never shut up about them sorry), choker, bardot, and mesh all rolled into one. AND it was in the amazing ASOS sale here. You may have seen my blog post from a while ago about the new ballet shoes. In a nutshell, athleisure being probably the most defining trend of the decade, alongside this comes dance-inspired clothing. Bodies, unitards, mesh and tulle, and lace up shoes are everywhere! So I decided to play up the ballerina-esque pink tulle of my dress a bit by choosing some lace up shoes. The shoes I chose were these BEAUT "Amina" perspex heels, they are gorgeous faux suede with a perspex heel - I've wanted perspex shoes for a long long time since I really love how they look and go with so many times of outfits from casual to formal. My earrings are from Accessorize of course - went for a statement pair of silver diamanté drop earrings since they were the only jewellery I wore, I think drop earrings like these can look so classy with an updo. In terms of hair and make up there really wasn't much to it - I used my trusty NYX ultimate palette in cool neutrals along with adding some glittery shimmer with the Topshop Chameleon Glow. On the lips was this gorgeous Max Factor Honey Lacquer Lipstick which I really recommend - really comfy to wear. Something I hate about lipsticks is when they're uncomfy and you can't top them up because they go too dry and its just nightmare. So I tried something new and I really wasn't disappointed. I did my own hair just in a really simple low bun, no effort required! And if anyones looking closely enough, my nails are in fact from Primark! No shame, these are great for events and nights out. And thats the outfit! The ceremony was at a venue in London called The Brewery, it was a gorgeous day so we had drinks outside in the courtyard area, there was a fashion show of all the design student's work from the year which was really good to see, and then an awards ceremony of everybody's achievements. After that, me and my friends headed to the Sky Lounge - 12 stories up so a lovely view - and northern readers there is also one in Leeds which Sam tells me is also very nice. You're so beautiful and I'm so glad you chose that dress because it is just stunning! I wish I could get my hair to look like that in a low bun. I'm one of those people who try to pull it off but end up looking like a drug dealer whoops. Congratulations on graduating and best of luck for the future! Congratulations for graduating, your dress was absolutely amazing and you looked gorgeous. Good luck for the future.